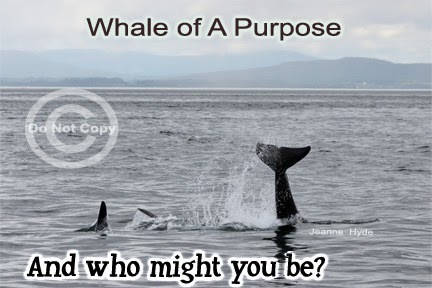 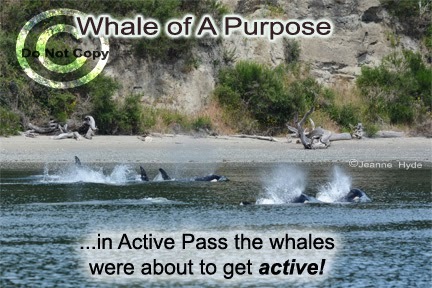 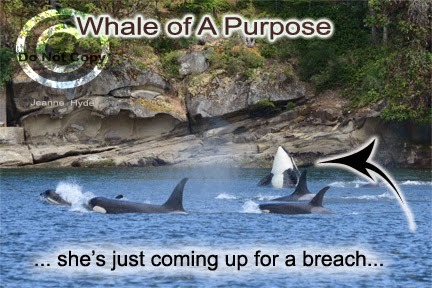 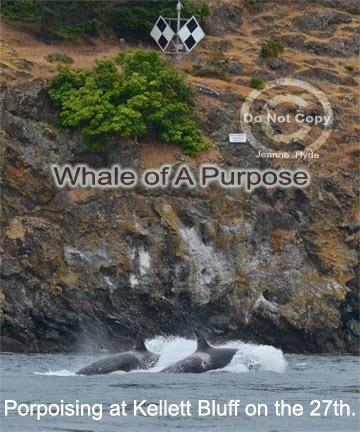 ...the whales are sure doing things differently this year than last, and the year before, etc. 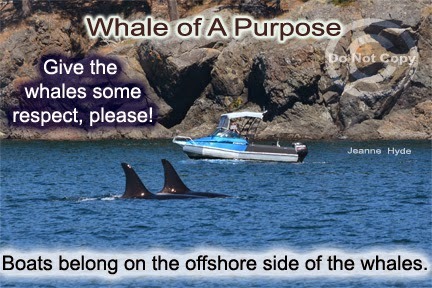 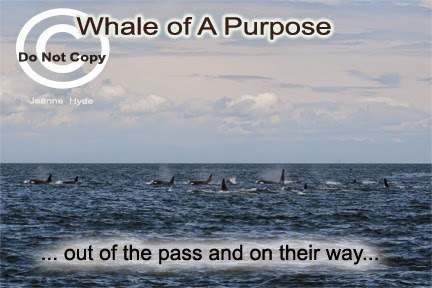 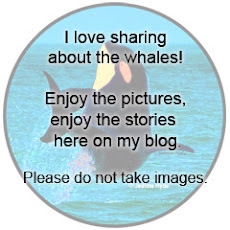 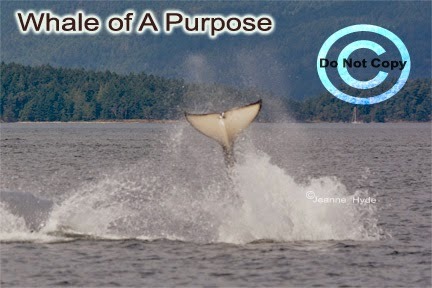 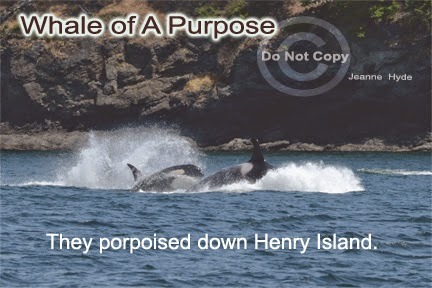 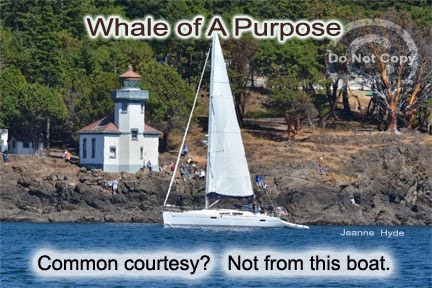 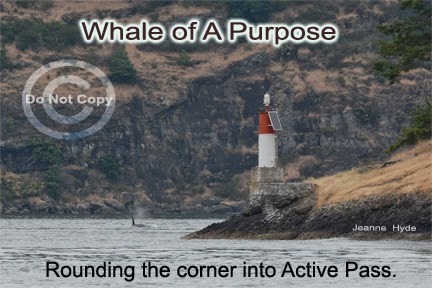 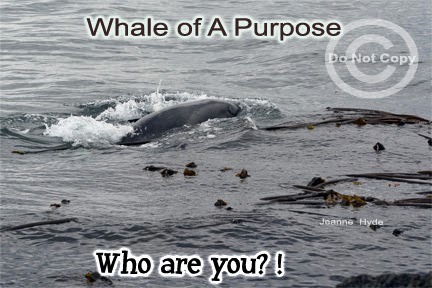 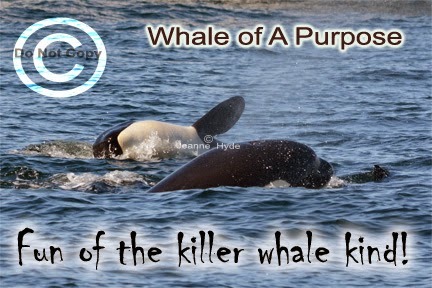 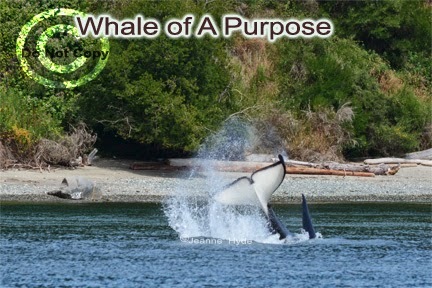 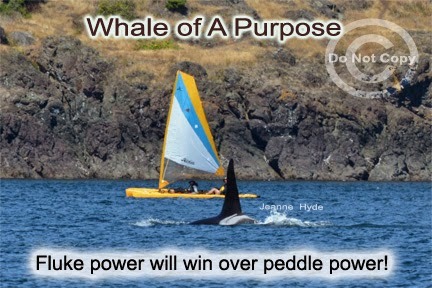 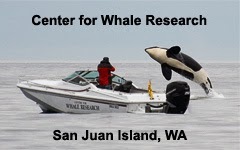 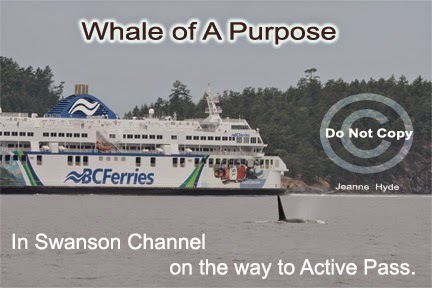 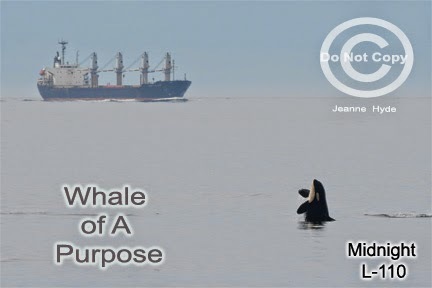 ...it was a frustrating afternoon with many other instances of boats deliberately parking in the path of whales - wrong! 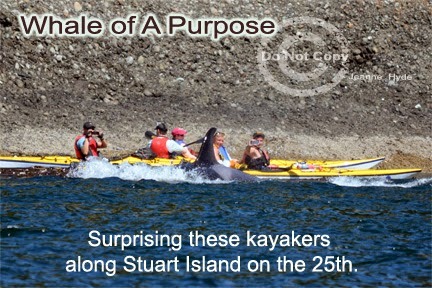 ...Granny and her group were in the lead...one of them gave these kayakers a moment they won't soon forget! 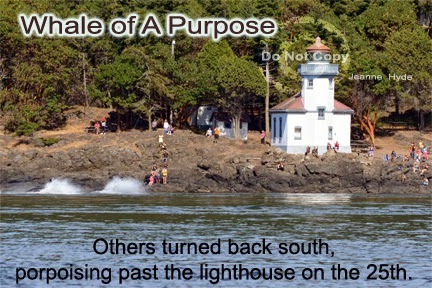 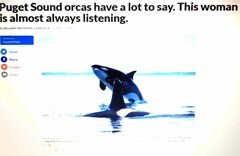 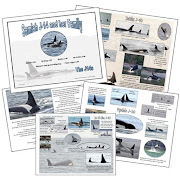 ...a day of rough seas and whales who just couldn't quite make it up to the light...then in the late evening the whales came up island...loud on the Lime Kiln hydrophones and only a couple faint calls on Orca Sound...did they go north or...? 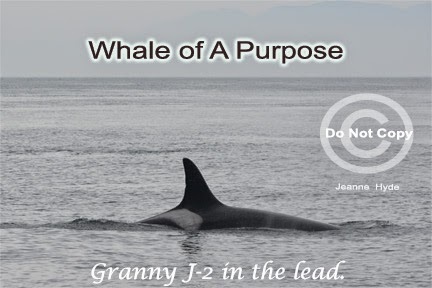 Granny must have told them "hush" because there were no more calls...there was no ship noise either...because on the 27th here they came back down from the north! 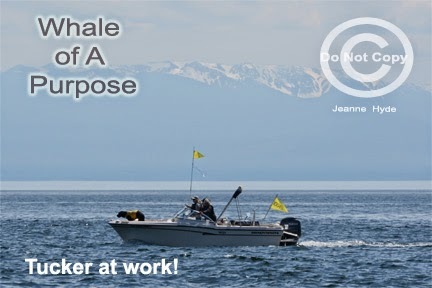 ...the activity of the week - propoising! 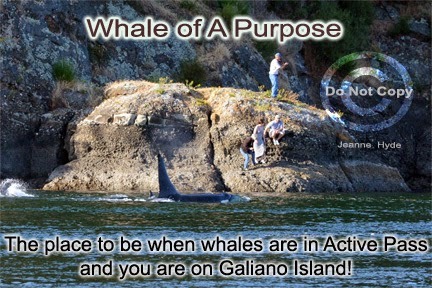 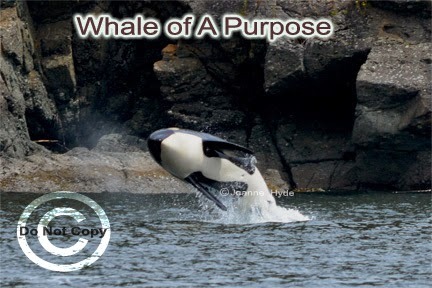 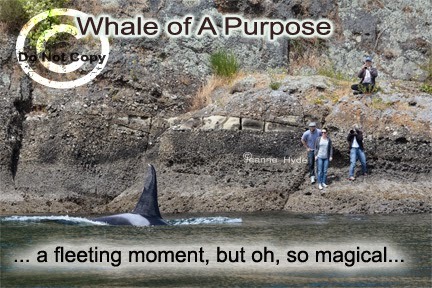 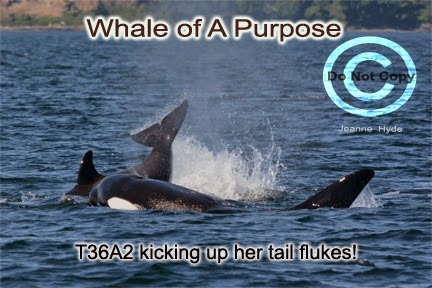 by the presence of orcas! 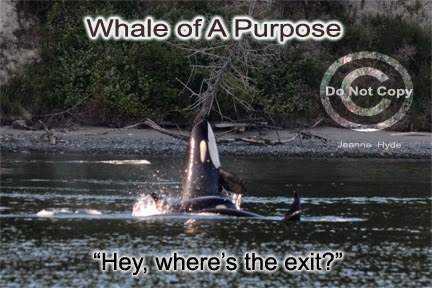 ...they'll be down tomorrow...it's just trying to figure out which side and when - Ha! 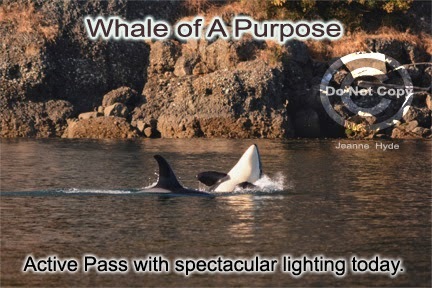 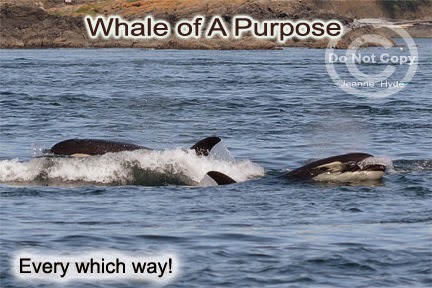 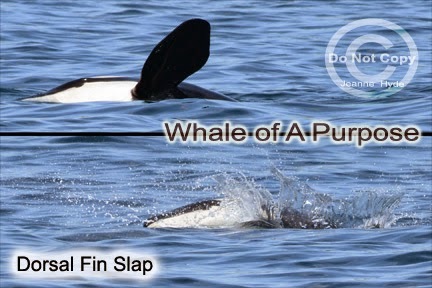 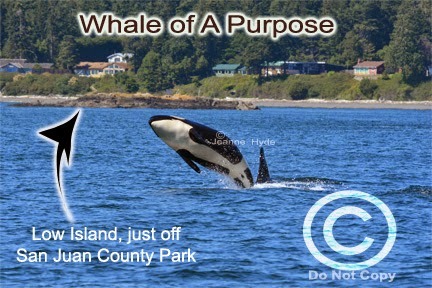 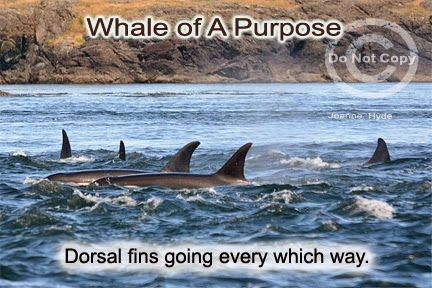 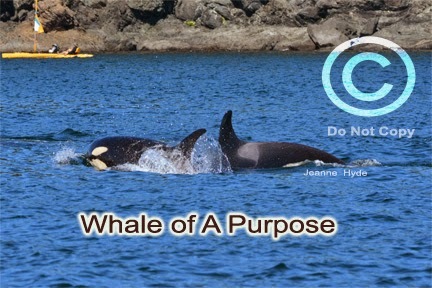 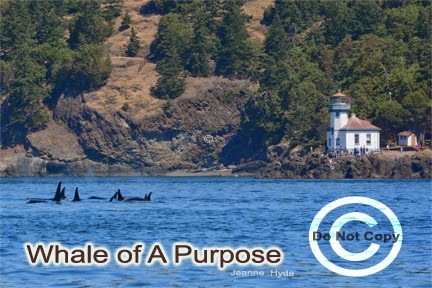 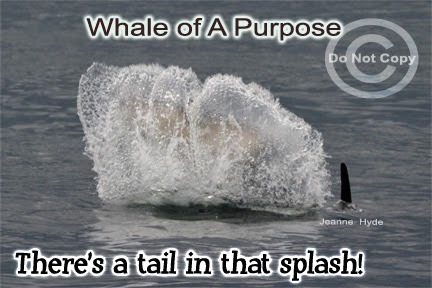 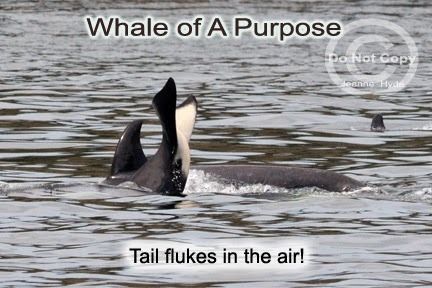 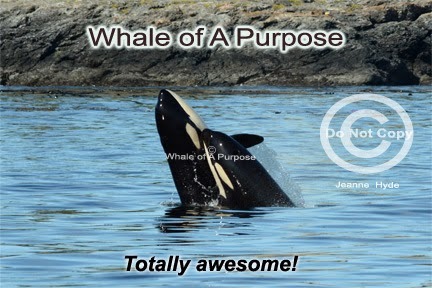 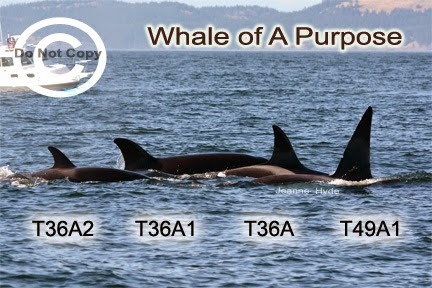 ...one more hour and Dan of Orcas Island Eclipse Charters finds whales!...and he found 45 of them! 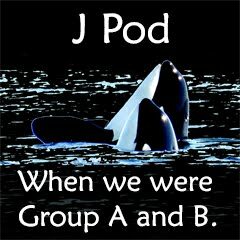 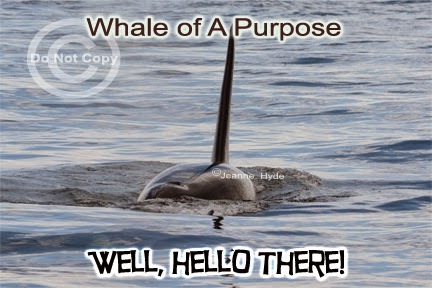 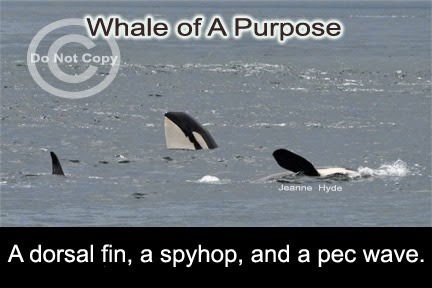 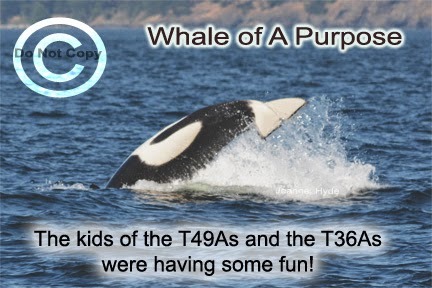 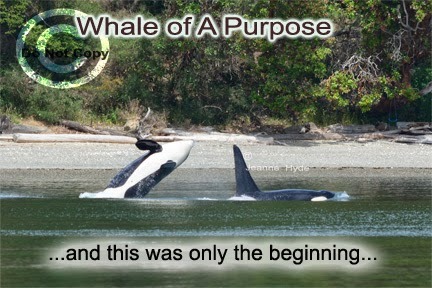 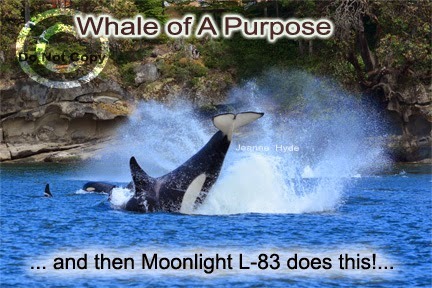 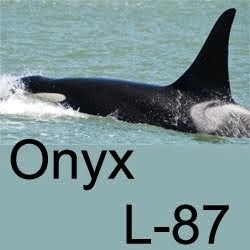 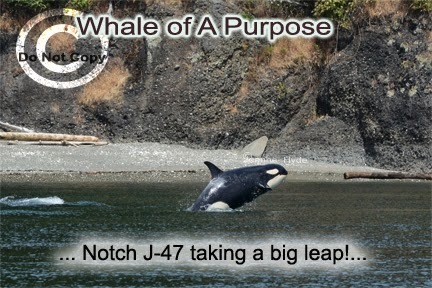 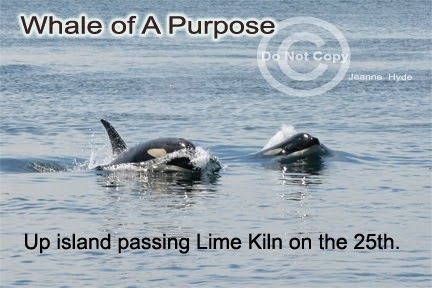 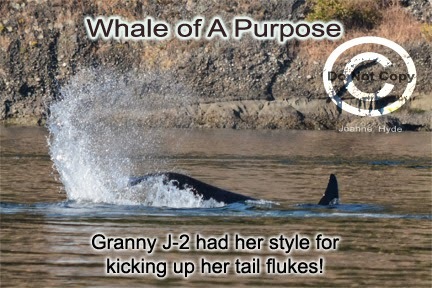 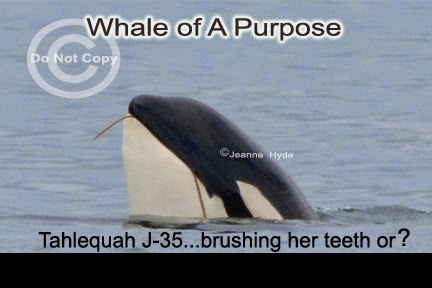 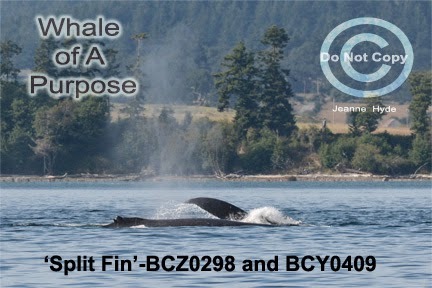 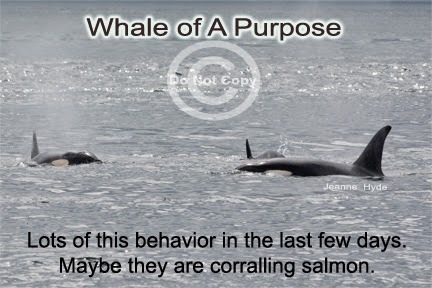 ...at the end of the day, for the first time this year, J pod was actually back in Group A and Group B! 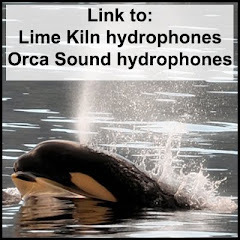 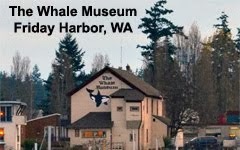 ...it didn't take long to find out...up at 4:45 a.m...and 25 minutes later I hear whales over the Lime Kiln hydrophones! 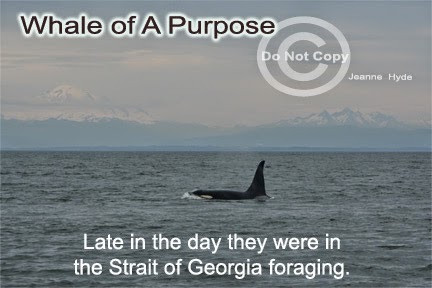 - Oh, my - they stayed! 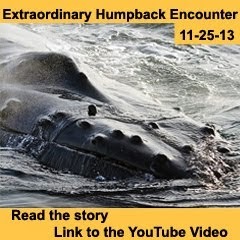 ...and I already knew that yesterday was spectacular...well today topped that! 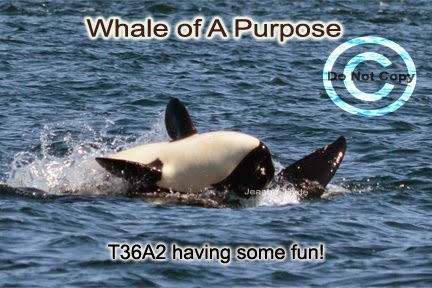 ...and then late in the afternoon, just a few miles outside the Harbor - Ts! 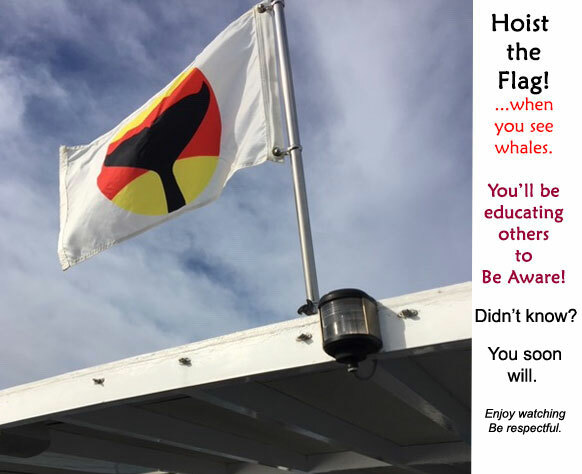 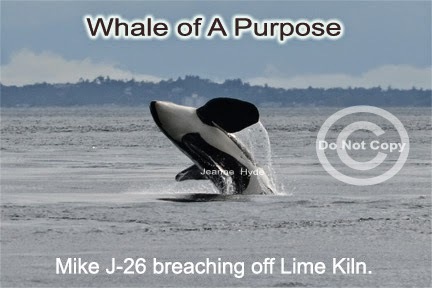 ...then I learn that the Js and Ls had already turned and were coming down Rosario Strait...will they be here tomorrow? 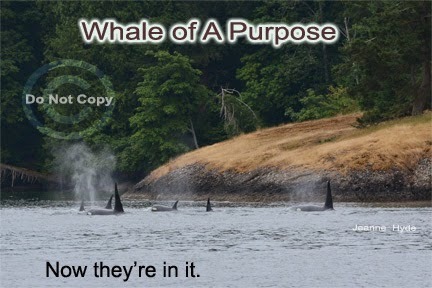 to eat or they wouldn't be here? 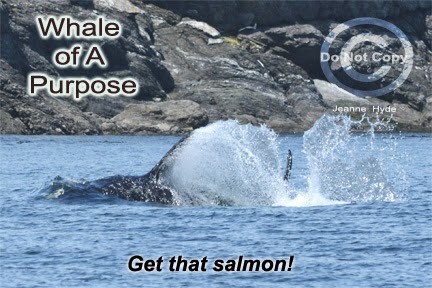 Will all our concerns for enough salmon be put to rest - for this season? 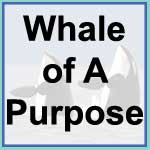 there is plenty for the long haul. 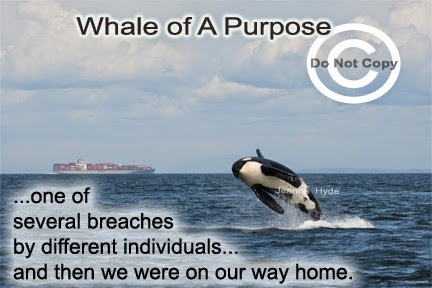 The whales are depending on us for that.